Everything we do at the Teggatz Clinic is centered around you, the patient – because you hold the keys to so many aspects shaping your health. And without your active participation in your journey to health, none of our wisdom will create longterm health. Guided by Dr. Teggatz, you will embark on an integrative approach to your wellness, drawing from the best of both Eastern and Western medicine – including smart lifestyle modifications that will significantly improve your health and symptoms. You’ll receive dedicated attention from Dr. Teggatz , specializing in functional medicine, acupuncture, and health coaching. During your exploratory consultation, you will meet with Dr. Tanya Teggatz to chart the course for your package of care. The subsequent visits will also be directly with Dr. Teggatz or with a health coach if you’ve chosen to utilize one. No patient is exactly the same, and yet there are 9 factors that affect your health. Guided by Dr. Teggatz , we will get to the root cause of your dis-ease – using diagnostic tests that your current doctor may not even know about. Did you know that it takes on average 17 years for clinical breakthroughs to make their way into the standard of care? At The Teggatz Clinic, Dr. Teggatz is deeply committed to shortening that lag. Unlike traditional doctors, Dr. Teggatz always focuses on root cause resolution – isolating the key imbalance that is responsible for virtually all symptoms you’re experiencing right now. We leverage group structures for patient education, peer-to-peer support, and accountability – with both Dr. Teggatz and your fellow patients rooting for your success. Dr. Teggatz founded The Teggatz Clinic on the belief of participatory care where the patient is an instrumental partner in returning their body back to health (or keeping it healthy). And that it’s not about pre-determined ideas about a diagnosis without a full understanding of a patient’s situation. That’s why the Dr. Teggatz at the Teggatz Clinic will leave no stone unturned when it comes to getting to the root cause of your health problems. We deliver a whole-person, targeted approach which works not only on the physical, but also the mind-body aspect of health. We will integrate findings from the most recent research along with literally decades of knowledge that Dr. Teggatz has accumulated. As it is stated in our Core Values of Care, you will always be first in line for innovative, integrative treatment methods that combine the best of Western and Eastern medicine. 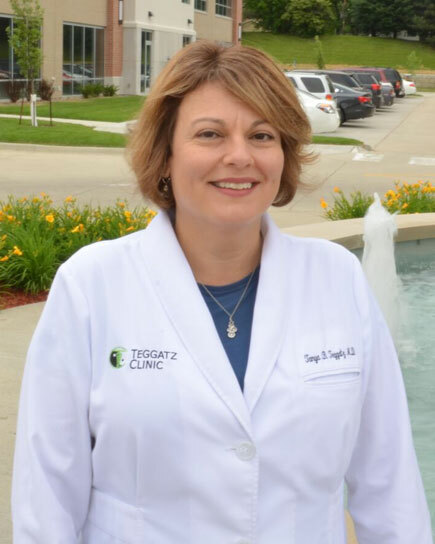 The Teggatz Clinic was founded in 2014 by Dr. Tanya Teggatz, an integrative functional medicine specialist with more than 20 years of medical experience. Drawing on the various treatment modalities she encountered throughout her career, Dr. Teggatz focused her practice on providing integrative health care based on the concept of root cause resolution. Since its inception, Dr. Teggatz has empowered thousands of patients to take charge of their health and resolve many chronic conditions, restoring them back to their natural, healthy state. Dr. Teggatz received her medical doctorate (M.D.) from the Roy G. Carver College of Medicine at the University of Iowa in 1997 and completed a residency in family medicine at the Cedar Rapids Medical Education Foundation, affiliated with the University of Iowa, in 2000. She is board-certified in integrative medicine and has had additional, intensive training in medical acupuncture through the renowned, ACCME-accredited Helms Medical Institute under the direction of Joseph Helms. Dr. Teggatz is a member of the Institute for Functional Medicine and has received her functional medicine training through the Institute for Functional Medicine, the premier training platform for functional medicine practitioners. 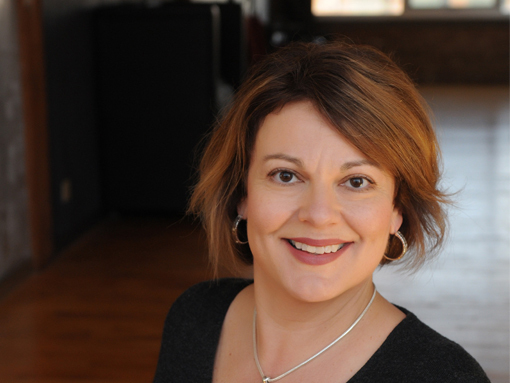 She is thrilled to share her acupuncture and medical expertise with the Corridor area and beyond. The Teggatz Clinic has been a breath of fresh air for me. I’m a hairstylist and have been struggling with numbness in my hands and arms due to 21 years in the industry. I started acupuncture treatments as an alternative to surgery. After three weekly acupuncture treatments my symptoms have been manageable. So no surgery!!! Her staff is warm and professional and the location is great. I still maintain with acupuncture treatments once a month which are now a relaxing and prevention at the same time. When I was 17 years old I was diagnosed with Ulcerative Colitis and Irritable Bowel Disease. After seeing Dr. Teggattz I know that there are real practitioners out there, who really care and operate from a heart-centered place. Her compassion and desire to be a real healer are obvious. I am thankful to know that there are people like Dr. Teggatz in the world, and more thankful when people like me connect with people like her! After close to a decade of “being alive” but not “living.” Thanks to Dr. Teggatz and God’s Blessings, I am back! Multiple Dr.’s plus two ENT specialists and thousands of out-of-pocket dollars could not do what Dr. Teggatz did for me – care that I got better! During a lengthy interview, she got to KNOW ME and took time to initiate a treatment plan and follow-up that has given me back the enthusiasm to take back my health, not just trudge through my circumstance. Thanks, Dr. Teggatz – I look forward to each day feeling great!